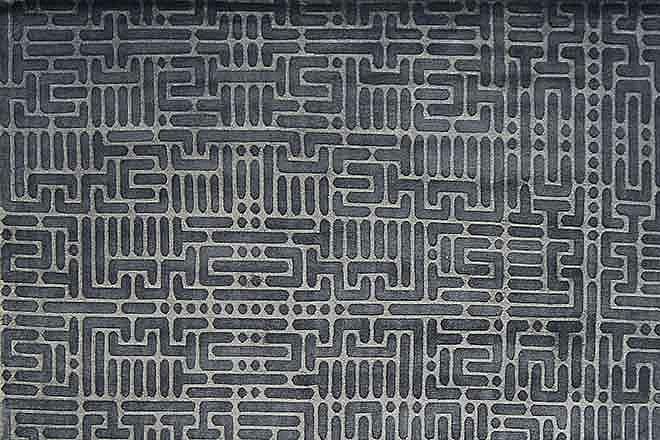 Our rug of the month December 2014 is part of the Simia Collection, which includes rugs with rather simple, contemporary designs. Within this collection, the size, colours and the quantity of silk are freely selectable. Therefore, the Simia Collection is quite useful for customized orders and individual projects. 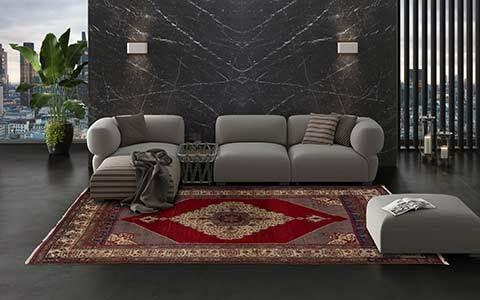 The special feature of the Simia C2628 is the particular carpet structure; two different pile heights are decisive for the very unique and distinctive charm of this innovative design. The Simia C2628 combines two colours – for example two grey colours shown on the picture above. 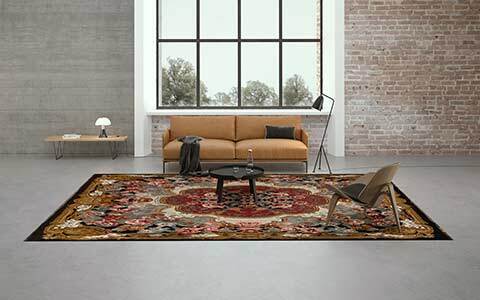 Using the high-cut / low-cut technique, the carpet gets two varying pile heights, which create a 3D effect of the design. The background of the carpet is cutted lower and about four millimeters shorter than the pile of design. 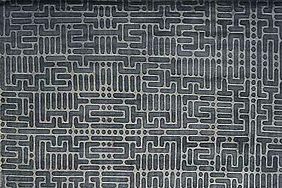 The geometric shapes of the modern design remind of a labyrinth with "walls" and create an interesting picture. 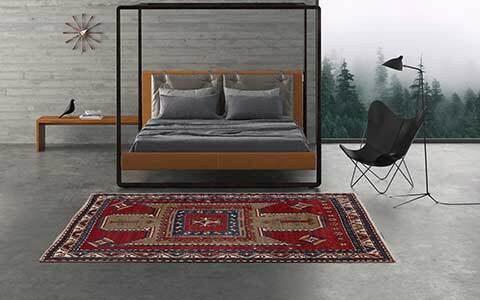 The Simia C2628 fits perfectly into modern and minimalist styles of interior – thanks to the pleasant and soft Himalayan highland wool, the carpet is also ideal for a comfortable sitting or reading area. 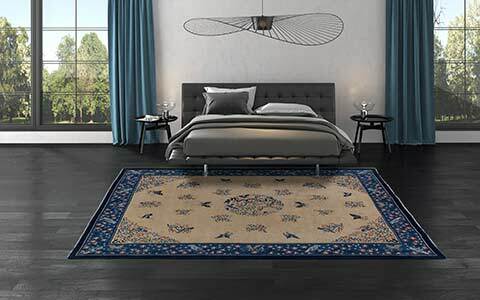 All carpets of the Simia Collection are manufactured by hand in Nepal by experienced weavers – like all Mischioff products of course in strict compliance with the guidelines of our fair trade partner Label STEP, the independent, international quality control for fair carpet trade. In addition to the grey version, the Simia C2628 is available for order in different colour variations. For example, a fresh turquoise or even a bold pink creates an extraordinary contrast between design and background and gives the design a fashionable look. The Simia C2628 is available in the standard size 300 x 230 cm, or you can order your individual customized piece in freely selectable custom size and material combination. 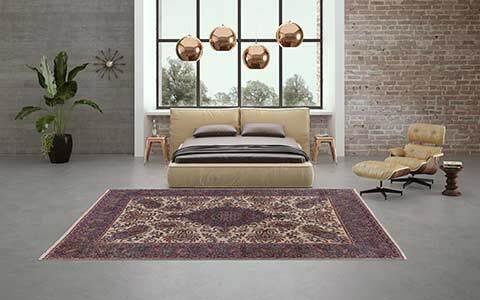 The delivery time of a standard size carpet which is on stock will be around seven days. The production of orders in custom size and / or custom colours needs about four months. 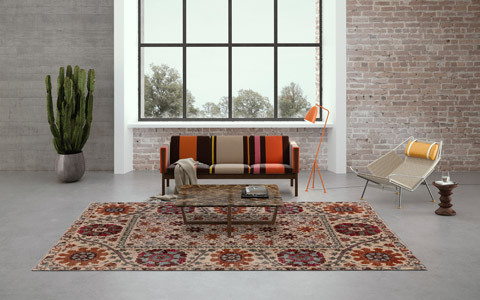 You are interested in our rug of the month our an other carpet of our Simia Collection? 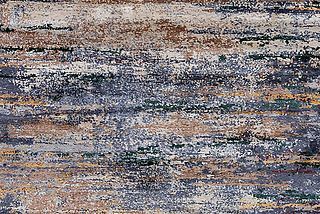 Then register now for the Mischioff online catalog - right after activation you get the full insight into our great carpet world. For a customized order, a quote or additional information or pictures please simply contact us - we look forward to hearing from you!